Oak Floorboard Tongue and Groove ex 6" x 1"
Oak is a natural product - variations in knots, colour and grain should be expected. These are not considered defects. 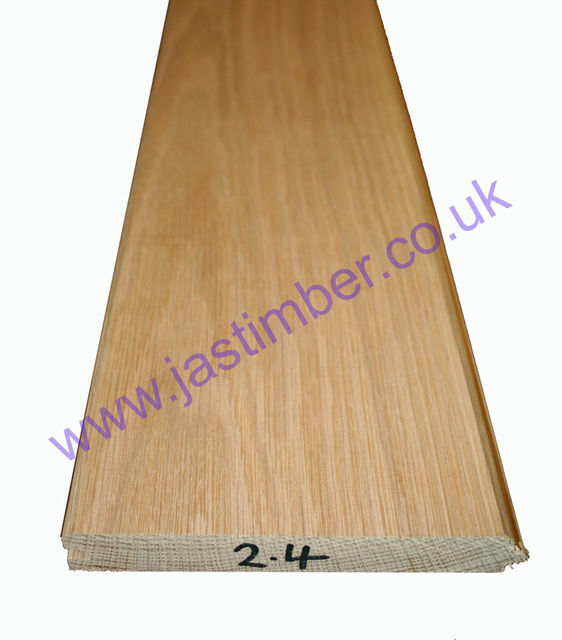 This is sold for Internal use, as American White Oak is of low to medium durability; External use is at your own risk; Consider using European Oak if you do have an external application.­This is a medium to high durability timber which will stand up better to being used externally, although it should still be given full external weat­her­pro­ofing treatment. This is a heavy, solid floorboard; It has NO stability grooves underneath. 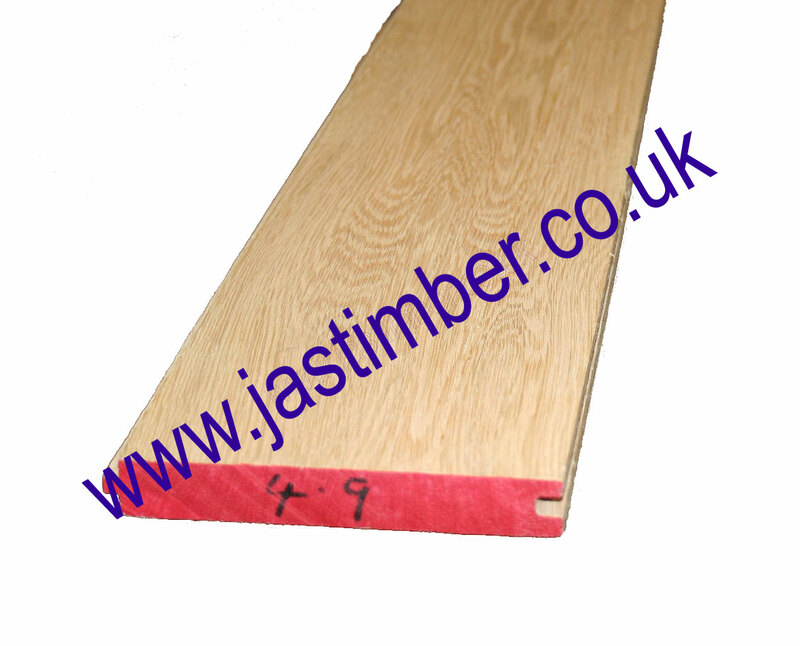 The present stock width needs approximately 7.2 linear metres laid, to cover 1 square metre of finished floor area; Don't forget you may have some wastage if you want to finish each board on a joist, as is the recommended practise. There are no expansion/­stability grooves machined into this Oak board. 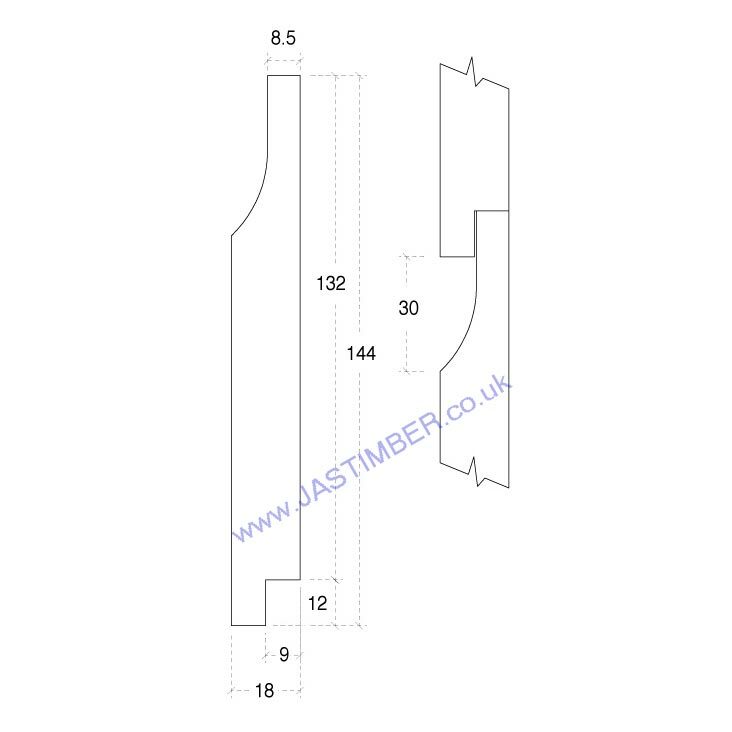 Sizes are the usual timber nominal size that the 25x150mm Planed Oak Floorboard is machined from, with a finished size that is generally obtained; Cover is approximately 138mm - the tongue is slightly offset from the centre of the board. Be aware: For many reasons, size and profile of Oak may vary from batch to batch, so it is best to purchase all you need for a job in one go, rather than buying more at a later date. Various defects, surface checking, splits and knots occur naturally in Kiln-dried Oak, and are allowed in its Grading; They are not detrimental to the use of the Oak as Floorboard - and are classed as "Character". 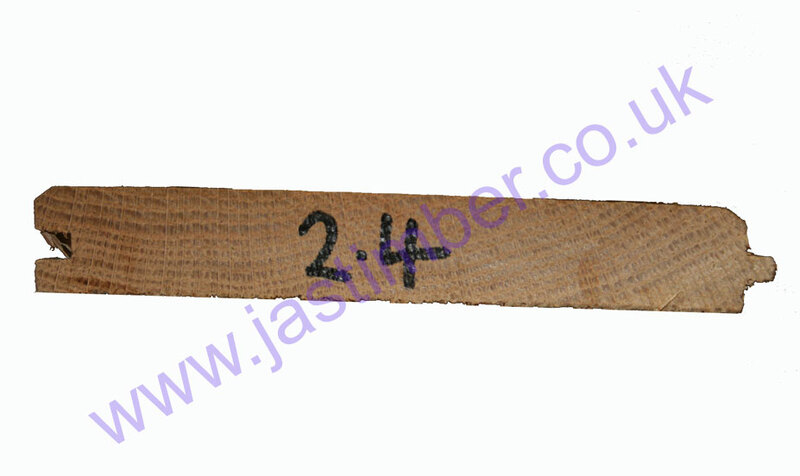 - JAS Timber cannot be held responsible for any variations in machined Oak Floorboard sizes, pattern, construction, grading, moisture-content, treatment, certi­fica­tion, knots, colour or grain. - We cannot exchange any Timber Product once work has commenced; Carrier Orders are cut to the Drop-down Menu lengths, and ALL Direct Deliveries of Oak Floorboard are supplied as a Special Order. Payment - We can take Debit Card, BACS, Cash, Cheque or Credit Card payment online for T&G Oak Floorboard. Prepared 139mm T&G Timber Flooring can be purchased online - Just add to basket. E. & O.E. see T&C - We do try to keep prices and specifi­cations of Oak Floorboard correct, but mistakes can be made!